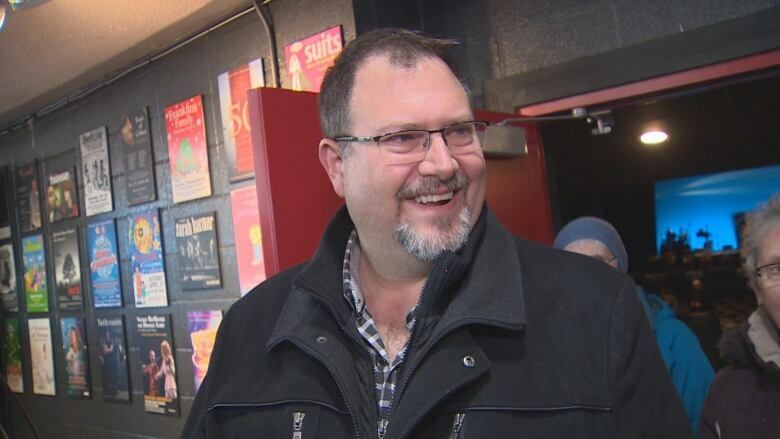 The cast says they feel honoured to perform the musical in the province where it all began. James Kall and Barbara Fulton have played the role of a couple joined by tragedy nearly 500 times now, but their performances this week brought new feelings, and new challenges. Stepping off the plane in the middle of the night, Kall said he felt something special. "I don't want to cry," he said with a laugh. "But to be in Newfoundland, to be on the Rock ... It's overwhelming." Kall and Fulton play the roles of Nick and Diane, a couple who met after planes were grounded in Gander on Sept. 11, 2001. 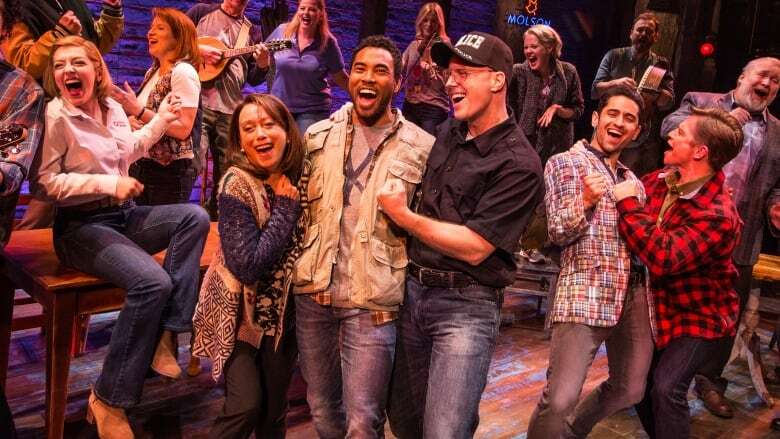 The two Canadian actors are members of Come From Away's Toronto cast. 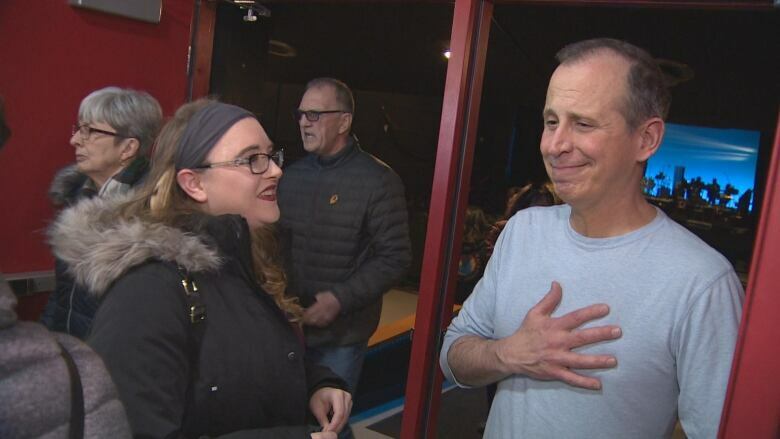 After performing the show nearly every night since it debuted, they brought a different version to the stage at Holy Heart Theatre in St. John's on Wednesday afternoon. The cast performed a concert adaptation of the full musical — less staging and not the full choreography, but all the music that earned the show accolades. It earned rave reviews from people filing out of the theatre at the end of the 100-minute performance. "It was fabulous. I've seen shows on Broadway and in London and other places. Equally as good," said Gerry Daley. "First time I saw it and it's a touch emotional at times as well. It makes you proud." "It was fantastic," said Sandy Strickland. "I grew up in central [Newfoundland] so I knew the areas well that they were talking about. I think just how well they portrayed our culture and the sense of community that came in such a crisis, it was phenomenal." "It was excellent," said Brian Taite. "It was fantastic they came here. I'm from Gander, so it was nice to hear all the bits and parts of people I would have known growing up there ... It was emotional for sure." Despite the glowing compliments, Fulton said the first show felt a bit awkward, since it doesn't include all the same choreography they've memorized over hundreds of performances. "It's creating new neural pathways to what we do and what we're saying, and often we're not remembering what's next because we have to do different things with our bodies," she said. "We know the show in our sleep, but it's difficult." When asked how they'd adjust, Fulton laughed and said she could answer it better at the end of the week. The cast is putting on eight shows between Wednesday afternoon and Sunday evening. All proceeds are going to the six central Newfoundland communities that took in passengers of the planes on Sept. 11 — Gander, Gambo, Appleton, Lewisporte, Norris Arm and Glenwood. Money will also go to the Autism Society of Newfoundland and Labrador, and the Community Food Sharing Association. 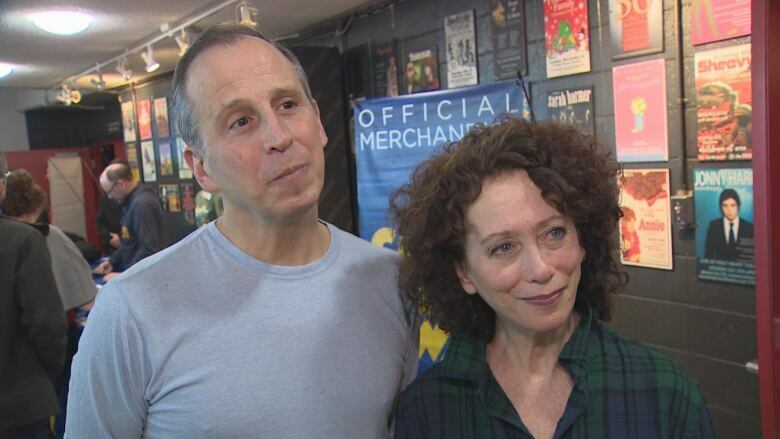 After the run of St. John's shows, they'll head to Gander for a brief visit. Fulton said she'll go back to Toronto feeling the warmth of the people she met during her stay in the province. Kall said he'll go home with the same, and more. "Personally I'll probably take home an extra 10 pounds probably, at least, from all the eating," he laughed.